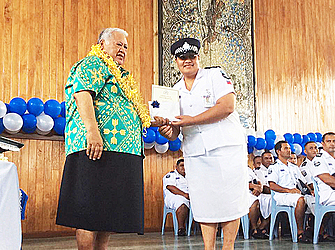 Inspector Efo Tuua Lemana has dedicated her promotion to her late father who retired as an inspector from the Police force. Inspector Lemana was among the 105 Police officers who were part of the Police promotion on Tuesday. Six officers were promoted to the rank of Superintendent, 10 became Inspectors, and 15 as Senior Sergeants, 34 as Sergeants and 40 officers became Corporals. 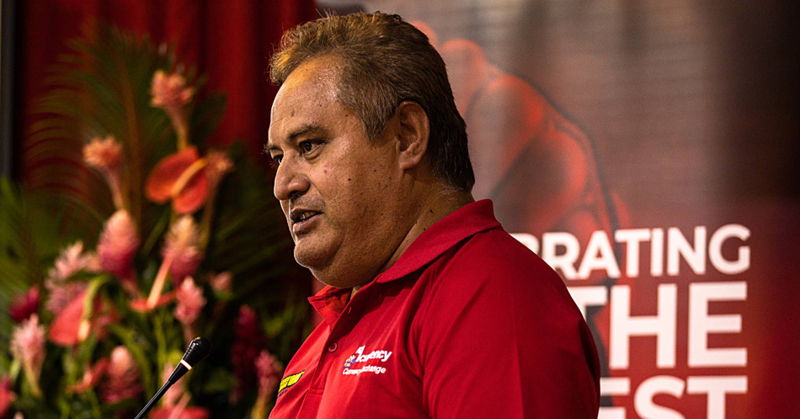 Lemana and Va’alele Tofa were the only women who were promoted to the Inspectors ranks. Daughter of Tualagi Moalele and Taimalelagi Peika Moalele Uipo Tuiletufuga Liuomavaega, Inspector Lemana is from Sapapali’i, Apia and Siumu. According to Inspector Lemana, her father retired from the Police force after serving 37 years as an Inspector. “It’s a bittersweet moment. My father passed the same week I received news that I will get the title in which he decided to retire from the Police force. “And this is all for him,” said an emotional Inspector Lemana. Inspector Lemana first entered the Ministry of Police back in May 2000. “It’s been a long, rough journey, but you know hard work pays off. “In my career, I’ve had my dark moments some years back and I was given a second chance and I have not looked back since then. “You know what they say, we learn from our mistakes and with courage and confidence I stood back and forged on. “I’ve had to separate what’s important from what’s irrelevant or a distraction and that is why I am here where I am now,” said Inspector Lemana. “Of course my father who was a strict trainer in the Police force and I had to impress him. I wanted to at least be half the person he was. “I wanted to carry on his legacy and I think he would be proud,” she said. Inspector Lemana is a mother of two, Baker and Princess Peninatauteleolevasapasefika and is married to Tomasi Tuua Lemana a former Police Inspector, who had since resigned due to the Police Policy against couples working together. “Inspector Lemana is a born leader. She oversees the Sexual Offence Squad in my division overseeing several officers and she deserves the promotion. “Hard work pays off,” he said. 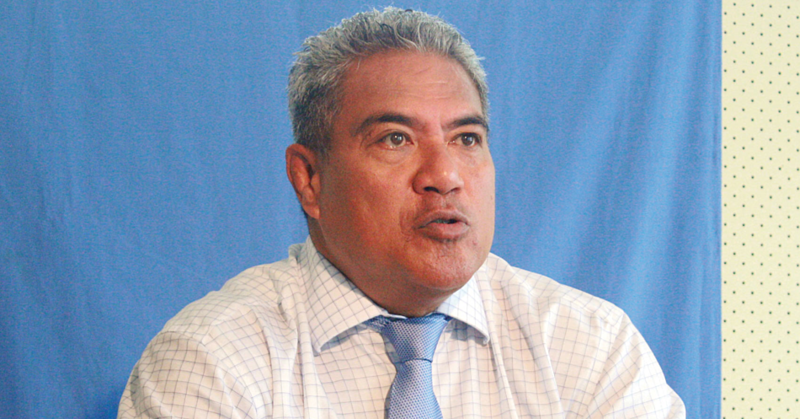 Superintendent Sala’a said Inspector Lemana served missions in Solomon Islands and South Sudan over the span of four years. “She was also the dux for the Detective Court that was held for the Criminal Investigation Division back in 2012,” said Sala’a. He also commended the women who were promoted in the Ministry. 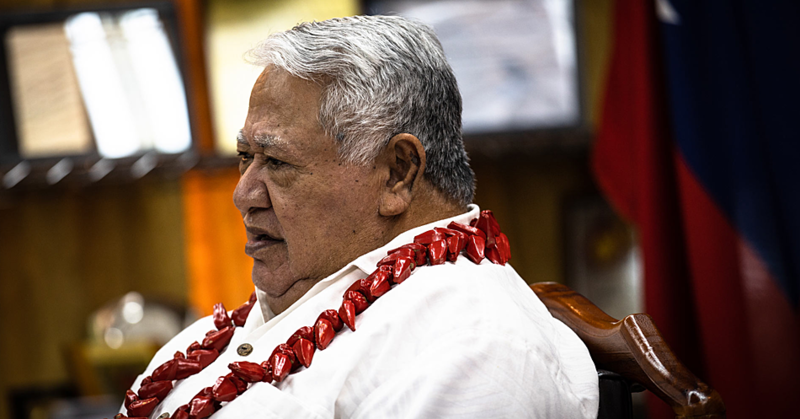 “There was one female Superintendent with two female inspectors Lemana and Va’alele Tofa. “This speaks volumes on the role that women play in the Ministry and the community. “In my view and personal experience, I am proud to say women in the Ministry of Police don’t go through hurdles to the road to success. “It’s undeniable the Police force is a predominantly male world, but in Samoa we have strong women leaders who have taken top roles in the Police force; for instance the Deputy Commissioner Papali’i Monalisa Keti, with many other female Superintendents,” said Sala’a.